The majority of college students spend most of their days going to classes and hitting the books. Some may also work part-time while attending school. There is plenty of stress between long hours doing homework and the pressure to succeed, get a good job, and make money. Of course, many students also experience financial stress as they try to get through college without going too far in debt. One way students often relieve some of that stress is to go hang out with friends or go to a party. While there’s nothing wrong with that, some students make poor choices such as drinking and driving. I get it. You might not give much thought to drinking and driving. You may argue that you only had a few beers and that you ate some food and waited a bit, so you’re fine driving home. Maybe you are. But if you’re not and you are pulled over by a cop, you’ll likely get a DUI. And a DUI can ruin your college life. The first thing you need to do after you’re charged with a DUI is to find an attorney. If you reside in the Golden State, for example, a California DUI attorney can help minimize some of the effects you’re sure to feel. Getting a DUI as a college student can affect you in a number of negative ways. Generally, the police report the DUI to the college. As a result, you may lose your scholarship funding if you are currently on scholarship. You may also lose your housing if you reside in campus housing. Most severe of all, you may be expelled from the college. Again, a DUI attorney in California (if that’s where you reside) can help minimize some of these repercussions or at least give you your best shot. 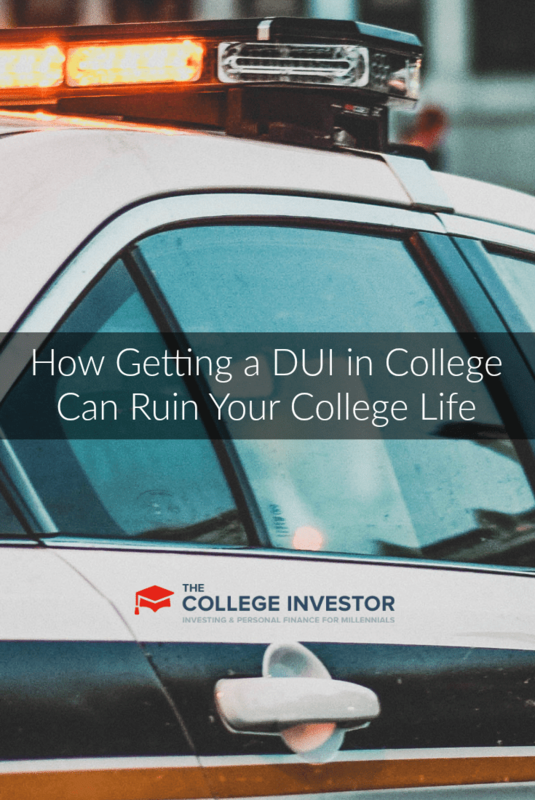 Unfortunately, the fallout from a DUI is not limited to consequences at college. If you’re pursuing a career that requires a licensure such as being a lawyer or a nurse, you may not be able to continue to pursue that degree. Even if you’re not pursuing a career path that requires a license, you may find it is much harder to get a job when you have a DUI on your record. If you want to be a teacher, for instance, you may be disqualified immediately. The same holds true for governmental jobs. Of course, we haven’t even yet mentioned that you’ll likely lose your driving privileges and that you may face jail time or a significant fine. College students partying to release some stress is nothing new. We’ve all done it. However, making the decision to drive after drinking can have serious repercussions. You may face jail time, lose your scholarship, and have to change career paths as you may no longer be able to pursue the career you’re most passionate about. Why take the chance? Simply take the time to ride with a designated driver or call a cab. Your future self will be so glad you did. DUIs are never good. They are expensive and you are putting other people’s lives at risk! I hate it when my friends think they can drive safely after a ton of drinks. You’re not invincible! A DUI can screw up your life no matter when you get one. I always told my children that they should never drink and drive. They could call me anytime and I would pick them up, no questions asked. At college, there were free buses and other rides to avoid driving. So true. Best to have a designated driver or better yet, BE the DD! Walking back from a party is another way to avoid these problems. Or sleep over. Just don’t drive after drinking too much.